of technological process is the machining process and skills of parts. Including: machining process ( heat treatment process), to fix each of process machine, clamping process, measurement, allowance of machining, and machining time etc, and our engineer team has to formulate these before production to ensure all of machining process correct. Our engineer has to check out the parts drawings is correct and including all of data for machining and inspection, including: material, tolerance, finishing and technological parameter etc in order to check out whether our current ability meet the requirement. Checking out the part materials and process whether they are reasonable and economic. Review the parts of structural machinability, whether we can machining it under economically and effectively. Flow process chart of machining process technology: the main purposed is explained the machining process of route. The card of machining process: we have to make it carefully, details and completion. We also have to make each of process card to ensure machining perfect. 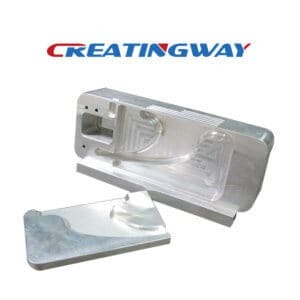 Creatingway provide you more secondary machining service from design, rapid prototyping, finishing and final assemble service, we will always do our best to make your projects easy and comfortable.